I just had my xNT tag installed at a local tattoo/piercing shop. The piercer was already quite familiar with sub-dermal implants, so after he watched the pro video for placement instructions, he was ready to go. It was over before I knew it, and it hurt no more than getting a booster shot. 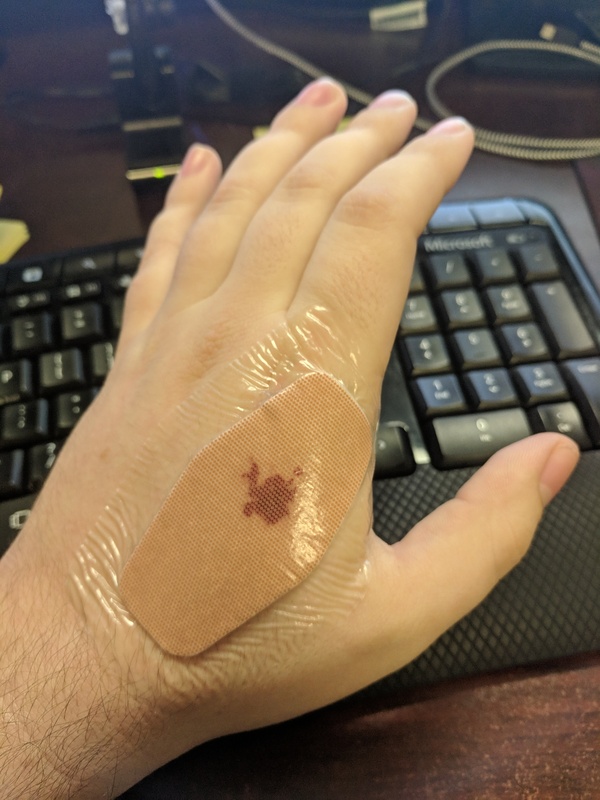 There was very minimal bleeding, and I could immediately set my password, read, and write to the tag. I’ll update with another picture after it closes up if there’s any interest. So, if you’re considering an implant, but you’re concerned about it hurting, GO FOR IT! It’s a cakewalk for anyone who has ever had an immunization. For me it was always: “That’s it?” I feel only a bit more when I was getting the xM1+ the needle is bigger. Thanks a lot for encouraging, I thought it would be painful, actually!